Mobility is significantly changing business process and employee behavior. As such, it is incumbent on IT organizations to respond to user demands to work from any (and many) devices in any place, at any time, providing a secure yet rich consumer-like user experience. The enterprise mobility segment researches what it takes to support today’s mobile employee through both the business and end-user lenses. ESG examines new collaboration and communication solutions, identity and access management, secure workspace delivery models, and mobility management requirements. 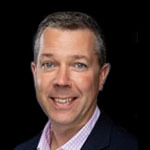 Mark Bowker is a senior analyst responsible for the enterprise mobility coverage at ESG. Leveraging 20+ years of IT industry experience, Mark researches what it takes to support today’s workforce as seen through both IT and end user lenses. Fascinated by the transformation in workforce behavior brought about by mobility, and how businesses are embracing mobility-enabled workflows and processes, Mark’s research spans alternative desktop, application, and data delivery strategies to enterprise mobility management technology, mobility’s impact on IT and business, and the broader IT vendor marketplace.